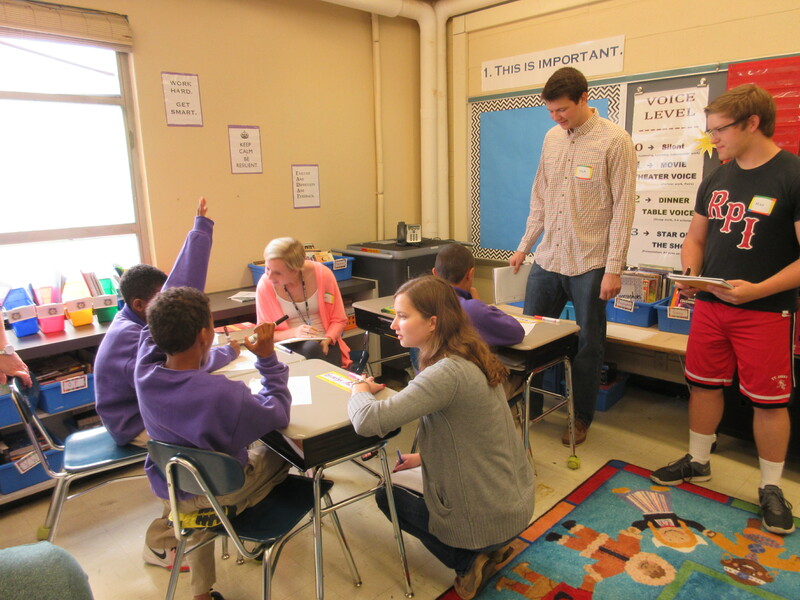 For this project our team of 5 RPI students worked with fifth grade students from School 2 in Troy, NY to design and develop a teaching tool to help them become more engaged in the topics they are learning. This project included many field site visits where we were able to learn from and design based off the students’ specific needs. The topic we chose to teach was environmental responsibility and creating understanding and awareness of how daily decisions can affect not only your home, but the environment as well. 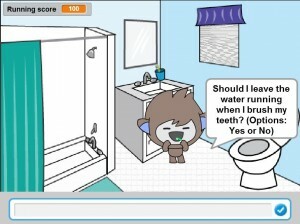 The final educational tool we designed was a computer game, programmed on Scratch, that allowed the students to help a character go throughout a typical school day and make decisions along the way that either help or hurt the environment. It is very important that environmental education is taught young so that as the students develop they will be able to make better decisions throughout their life and create a better, cleaner world to live in. Games such as Zoe the Green Monkey can help create a more green and aware school by integrating environmental learning throughout the school day. Research has shown environmental education can improve classroom performance by teaching through visualization, physical action, and other senses, which in turn broaden the skills of students. The purpose of the first field-site visit to the school was to become acquainted with the students and to try and learn about them. We prepared a simple activity in order to try and discover the likes and dislikes of the students. The activity was to trace the outline of their hand on a sheet of paper and then fill the hand with drawings of things they believe represented them. We hoped we would be able to learn different topics the students were interested in that would allow us to better design an educational tool for them. From this visit we learned that the majority of the students love playing sports, eating food, and playing video/computer games. We were informed by the principal of the school that the students have the most difficulty with math and ELA. The students need help with fully understanding a problem and being able to apply the concepts they have learned to another problem. For our next visit to School 2 we needed to design and build a response device. This device was meant to be an experimental apparatus that explores how the students react to it. The purpose of this device was not to teach the students anything but to simply study how they interact with a specific type of activity. For our response device we decided to focus on social aspects such as cooperation and collaboration vs. competition. 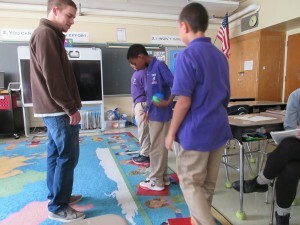 We also wanted to make it a physical game that allowed the students to get up and move around. For our activity we decided to play the Lava Game with the students. 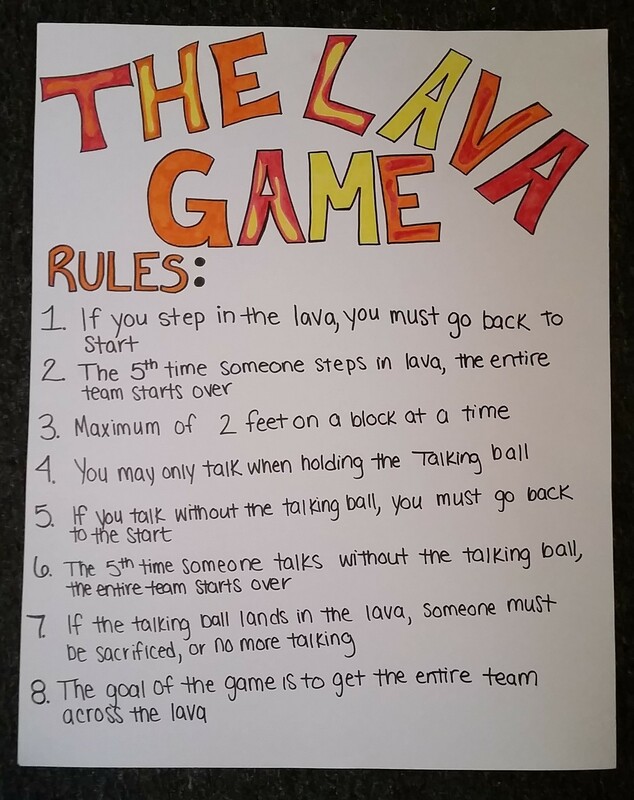 This game is played by specifying a specific distance as “lava.” The students would be given a certain amount of blocks that they would only be allowed to step on. 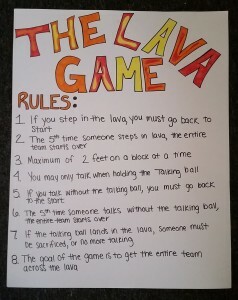 The goal of the game is to get the entire team across the lava. There are many different factors and rules that can be brought into this game such as limiting the number of blocks given to the students, having a time limit, having different colored blocks that mean different things, and creating a competition between two different groups. We also decided on having a ‘talking ball’ that the students had to be holding in order to speak. 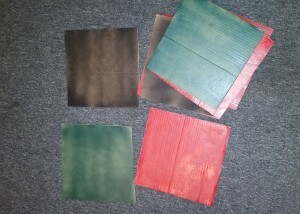 The idea was that this would force the students to cooperate more and also keep the classroom volume under control. Playing the Lava Game for our Second visit to the school allowed us to learn many things about the students. Although it is great to get the students up and moving around, physical games can get out of hand and take away from the objective of the activity. We discovered that students are very interested in playing games and problem solving. The competitive element of the game seemed to be very intriguing for the students. They enjoyed being timed and competing against themselves to get a better time. The students, for the most part, collaborated very well together. From this experience we decided to move along with some sort of game where the students had to compete against themselves, although we had to continue to work on finalizing what topic we wanted to teach the students through this game. For this prototype proposal we had to decide on a final project and prototype an aspect of it to be tested with the students at the next field-site visit. 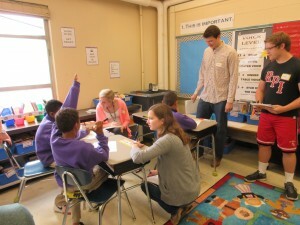 We decided to teach the students about how their daily actions can impact the environment. This was a topic each of us considered very important and not something that is typically taught within their curriculum. It is important to expose students at a young age to issues going on in the environment. 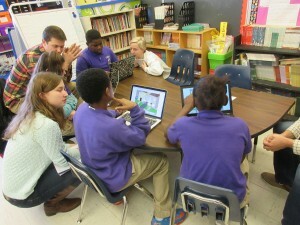 We decided the best way to go about teaching this would be to create a computer game in which the students would go through a typical day and make decisions that either benefit or harm the environment. Different decisions we wanted to incorporate into the game would include turning the lights off, taking the bus or car vs. walking/biking to school, playing video games vs. playing outside, recycling, how long to shower, and turning the water off when brushing their teeth. For our first prototype we wanted to keep the decisions simple so we could see if the students were interested in the topic and game. We decided the game would have a point system where the student would lose points based on the bad decisions they were making. The point system would be based on how that activity affects the environment (carbon emissions, wasting water and energy, etc.). For the third field-site visit we tested out the first prototype of our Environmental Game. This visit was very successful. 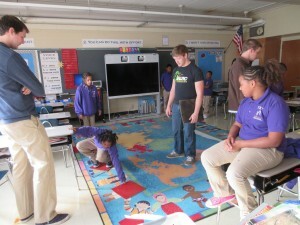 With each group of students we first had them play the game without explaining the context behind the game. We had them make decisions based off of what they do in their everyday life. After the first round we held a group discussion and explained to them how their decisions can impact the environment. The students grasped this information very well and the second time through the game many of them received a perfect score or at least very close to it. For this visit we also decided to incorporate the money they would be saving on a yearly basis due to the good decisions they were making. Using the point score we were able to convert the amount of points left to a yearly savings. We handed the students fake money and had them count it to see how much they were saving. This was able to incorporate math into the game as well. 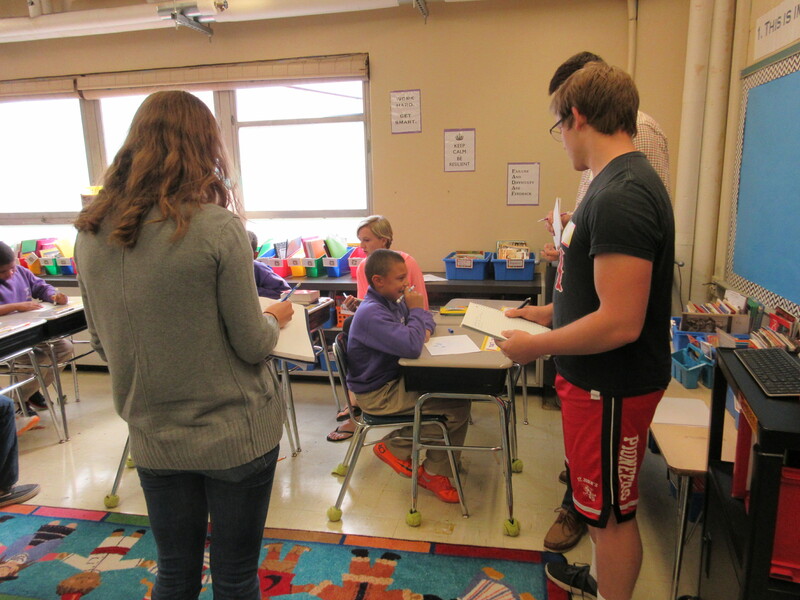 The game also included a lot of reading for the students to practice that as well. It was interesting to us that not many of the students had been taught how to type, so we were excited to teach them how and give them experience with that. For the final design there were several things we planned to change and add. There were several glitches in the program that would cause it to freeze that needed to be fixed. In order to help avoid these glitches in the program further, we decided to add a feedback feature that will pop up if the user types in something that cannot be comprehended by the program. It asks the user to retype their decision and gives them the options to choose from again. We also decided to add more scenes throughout the day including a classroom scene. For the final design, we changed the name from Zo to Zoe and made the character in the game green to go along with our new name Zoe the Green Monkey. We tested our Final Design for Zoe the Green Monkey at the last field-site visit with the students from School 2. Since the students had all played the game before during our last visit, we begun by asking them what they remembered from the game last time. Many of the students said they remembered things such as recycling and turning off the lights. They all remembered the game from last time and were excited to play again. We encouraged the kids to try to get the best score possible or worst score possible and mainly just let them explore and play while we observed and helped them when they needed it. It was really great to see how the students were making small improvements not only with the game but with their reading, math, and typing skills. We also saw improvements in behavior and collaboration when the students had to work together for the game. When we handed the money the kids saved and asked them how they would spend the money they said similar things to last time such as “giving to the poor,” “charity,” “groceries,” and one even said they would give the money back to one of us RPI students for being kind and helpful during our time with them. The students seemed to love the game and never got bored of playing it. 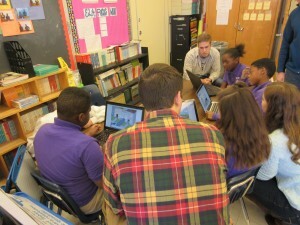 For possible future iterations of the game we would add more scenes throughout the day to further engage the students. Another possibility would be to add icons of the Earth which showed how the Earth was being affected by the decisions being made by the students. As the point score goes down, the Earth would get “sadder.” To give the students something new to play, we also considered making new levels with different scenes, such as being on another planet where they are also effecting the environment with their decisions. It would also be helpful to the students if we came up with a way to better connect the money they are receiving to the game so they completely understand that it was coming from saving money by making environmentally conscious decisions. Also, integrating more math directly into the game besides just counting the money they saved would help them more directly with topics they are tested on in school. There is a classroom scene in the game so it is possible to add an extra scene that is directly focused on math. Another possibility would be to have them do the subtraction of their score instead of the program doing it, if they get it correct they could receive points back.